Description Photo is in the History of the Methodist Church scrapbook; loaned by Helen Grigg. 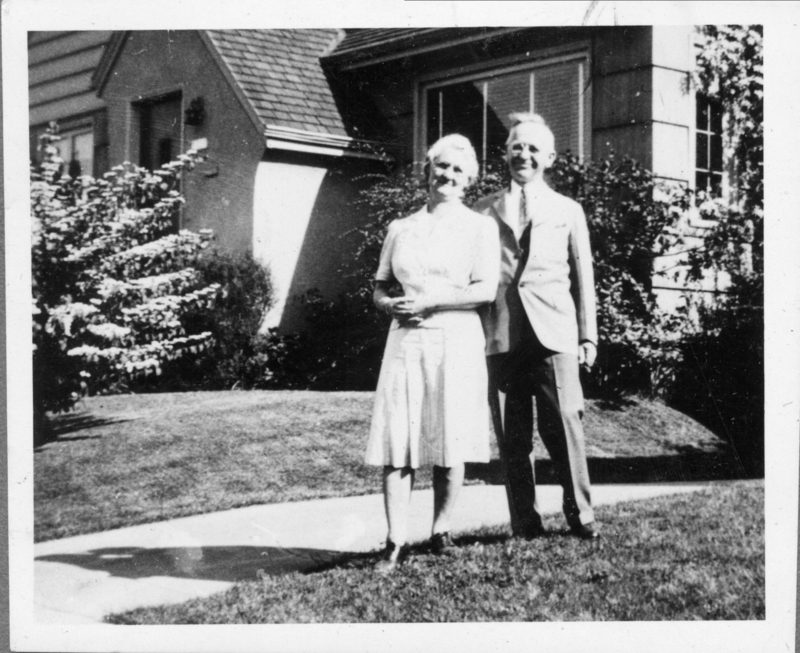 Reverand John Watford Reed and Vernie Wells Reed. [scrapbook] He came to Oswego Methodist in July 1941. At their home in Portland. Physical Description H 3"" x W 3.5""